Everyone needs strong, powerful legs, and that is achievable through regular exercise. 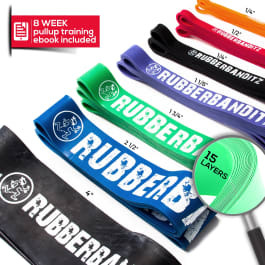 With that in mind, we will be sharing 7 resistance band exercises for stronger, more powerful legs, and the main piece of equipment you will need are any of our loop bands which are made from natural latex rubber. Beginners are advised to use our Light Resistance Band as it is best for warm-ups, stretching, shoulder mobility, and high rep exercises. 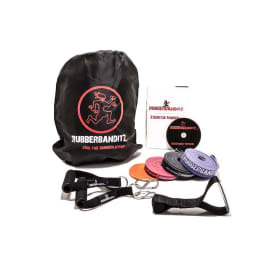 Workout warriors can opt for our Robust Resistance Band, which is our most popular band. It has a resistance of 50–80 lbs and is perfect for all assisted bodyweight movements. Strong, powerful legs won’t matter if you can’t move them forcefully and explosively, and you can only do so if you have a strong and stable core. So, do this exercise regularly, making sure that you perform the movements in a controlled and steady pace and that your lower back stays in contact with the floor at all times. 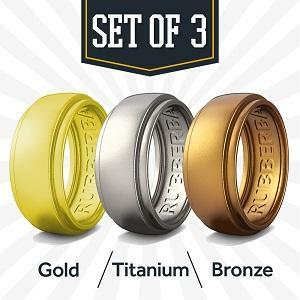 For an even stronger core, do the exercises that we at Rubberbanditz recommend. Hip abductors are crucial for strong, powerful legs. When they become weak, activating them for movement becomes difficult. Other leg muscles then have to compensate and doing so compromises their performance. Hip abduction is therefore a vital exercise that you must do frequently. The keys here are: (1) making sure that you secure the resistance band to your ankle and (2) making sure that you keep your leg straight for every rep.
Hip adductors help stabilize both the pelvis and the knees, allowing you to move your legs with force and explosiveness without getting injured. Additionally, a balanced muscular system is critical for better overall strength and performance. This fact underscores why you need to work on your adductors. Make sure that you secure the resistance band to your ankle and that you keep your leg straight for every rep.
Squats are the foundation to overall strength, so you must make them part of your workouts. Proper form is critical here, which means a straight back with the head held steady. Those who regularly work out can try the more challenging variation we discussed in Fitness Band Squat Training. Lunges are excellent for your quads, which make up a big bulk of your leg’s musculature. Like in squats, the important thing here is maintaining proper form. Beginners, in particular, must perform this exercise slowly and deliberately so they can better keep their balance. This exercise mainly works the quads, but it impacts the hamstrings and calves, too. The key in this particular exercise is to use your thigh muscles to extend your leg so that you feel those muscles contracting as your leg rises. Don’t extend your leg fully, though, to the point that your knee “locks” as doing so may place undue strain on the knee. As mentioned earlier, a balanced muscular system is crucial for overall strength, and this exercise helps in that regard as it works on the inner and outer muscles of the thigh. Just make sure you find the right resistance—neither too light nor to heavy—to make the most of it and prevent injury. Unfortunately for soccer fans, including some of us here at Rubberbanditz, Neymar fractured a metatarsal last February, with sports website Ladbrokes detailing how it forced him out of action for 6–8 weeks. The Brazilian player though seems to be well on his way to making a full recovery, with Neymar likely to play in the tournament. Unsurprisingly, resistance bands have been part of Neymar's rehab, as you will see in the 1:10 to 1:15 mark of the video below, which chronicles the 26-year-old's road to recovery. That brief span shows Neymar doing standing thigh clams — one of the exercises we have recommended here in this list, albeit the lying-on-your-side version — using a black resistance band. Resistance bands are perfect for injury rehab, too, as they offer varying resistance levels to the muscle strengthening exercises prescribed by physical therapists. So, if you're recovering from an injury like Neymar, you can start making your muscles strong again using our Light Resistance Band. Then you can progress to medium, and then to heavy. 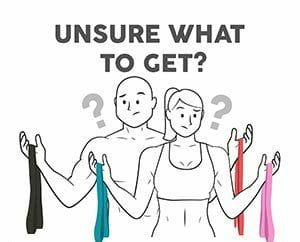 Resistance bands are versatile pieces of exercise equipment which, when used correctly, can help you in a variety of ways. They can certainly make your legs all strong and powerful, especially if you regularly perform the 7 band-resisted exercises we suggested here. And just in case you get injured, you can also use resistance bands to get back into your pre-injury shape.